Georgia Adderley says securing a second British title feels just as special as her maiden win in 2017. 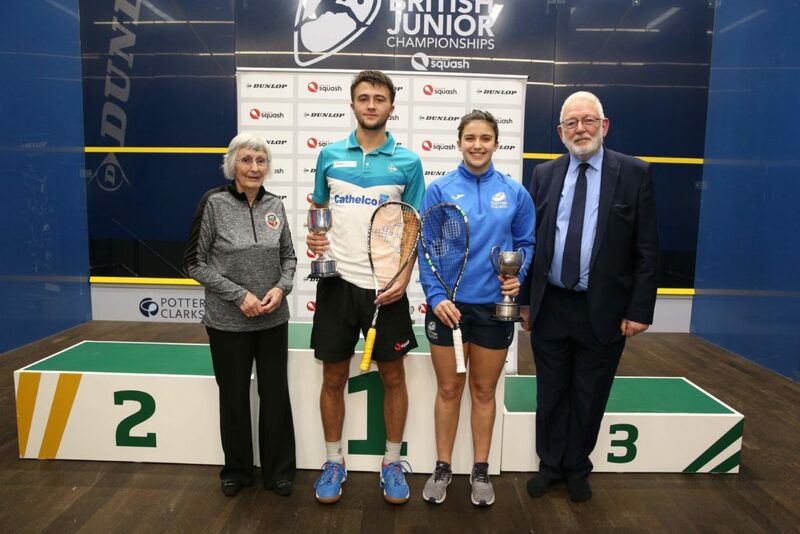 Last year she became the first Scot to win a Dunlop British Junior Championship (BJC) title in nearly 25 years after beating Essex’s Alice Green (1) in the GU17 final. The pair met again in the GU19 final on Sunday in Nottingham with Adderley (2) coming out on top again winning in four games, 11-4, 11-8, 5-11, 11-7. 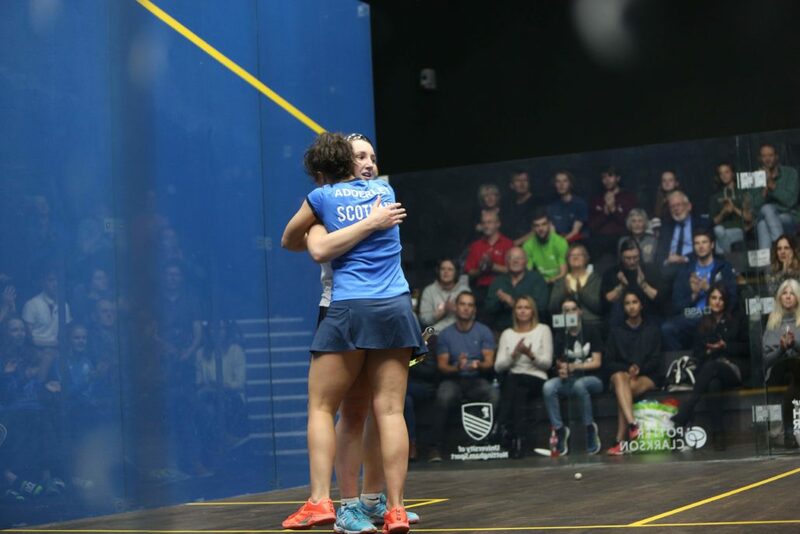 It was far from easy for Adderley who negotiated a tricky draw and a niggling leg injury to seal the title on the all-glass show court at the University of Nottingham. She said: “Both titles are special in their own way. 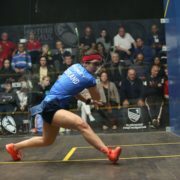 “Last year felt unbelievable winning a first British title and winning this year having come through three really tough matches and a small injury concern was equally satisfying. “By the final I was physically struggling quite a bit so was very happy to pull through. 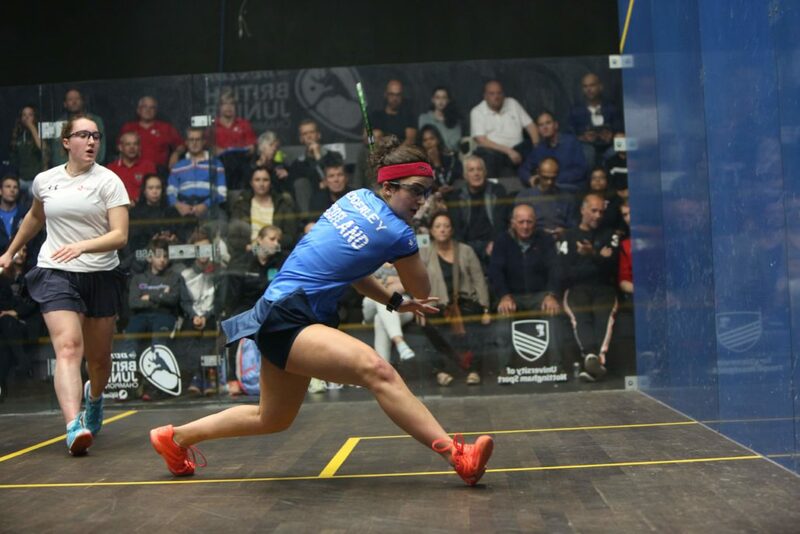 “The Scottish support was huge for me and really helped me, especially in the fourth game against Alice and in the semi-final when I wasn’t playing too well and getting a bit stressed. Having received a bye in the first round, Georgia proved too strong for Surrey’s Phoebe Colman in round two, winning 11-4, 11-3, 11-2. She showed her battling qualities in a quarter-final clash with Ireland’s Sophie O’Rourke, prevailing in three tight games, 11-8, 11-8, 11-9 before producing a strong finish to see off third seed Katie Wells (Lincolnshire), 11-5, 7-11, 11-7, 11-1 which set-up a final against Alice Green. Georgia and Alice had shared the spoils in their two previous meetings, Alice exacting revenge for her 2017 BJC final defeat with victory in the semi-finals of the European Junior U19 Championships back in March. But it was the Scot who prevailed this time around in Nottingham meaning both players now have two BJC titles to their name, with their intriguing rivalry expected to continue in the years ahead. Reflecting on her matches, Georgia said: “In the quarter-finals I was down early in all three games and was really pleased how I coped mentally to get through that. 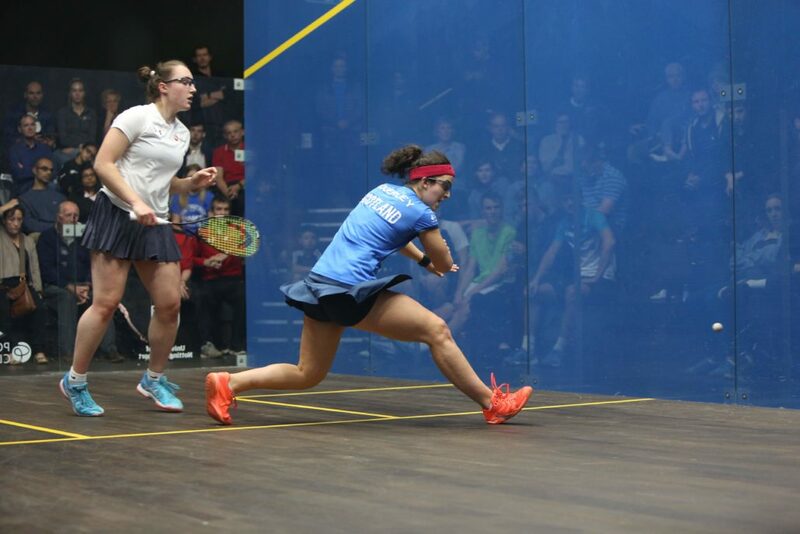 “Finishing strongly in the semi-finals then gave me confidence heading into the final. “Tactically I didn’t change much from when Alice beat me last time but I have worked hard on a lot of technical things over the past six months and put a big shift in over the summer to improve my movement and get fitter and faster. “I think that paid off and I felt more in control in the final. “I had a solid game plan and to win my second title feels really cool. For full results and photos from the 2018 BJC, click here. 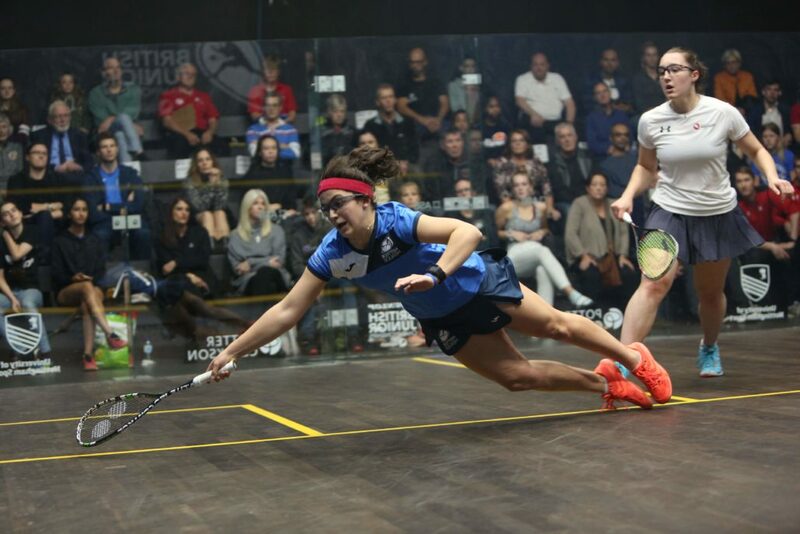 Pictures courtesy of England Squash. Later this week, we’ll hear from National Coach Paul Bell as he reflects on a great weekend for the Scotland squad which had 32 players competing in Nottingham.